Dogs are the best life companions; they give us unlimited hours of entertainment, endless love and affection, and absolute loyalty. Even if you spent a very tough day, coming back home to find your funny and excited buddy jumping with extreme joy will definitely boost your mood and make you forget all your problems. However, training will help to keep your best buddy obedient, happy, and mentally active. 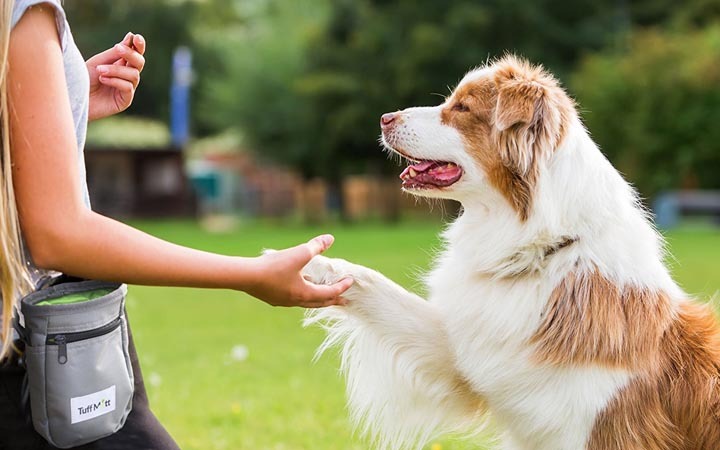 Teaching your dog some effective tricks is a perfect way to let him express his affection and to keep him mentally stimulated and safe. Besides the typical commands such as stay, heel, and sit. First ask your dog to sit, Hold the treat in one hand and try to show it to your pup. Close your grip over the treat and ask your dog to shake by waving your closed grip to keep him focused on the treat. The moment your dog interacts and touches your hand give him the treat and say “good” so he can remember the trick. Try to apply and practice shake paws for 10 minutes three times a day. Then you will notice that your pup will offer you his paw whenever you ask him to do it. First, give your dog the stay command, take few steps away from the dog and then look at him. 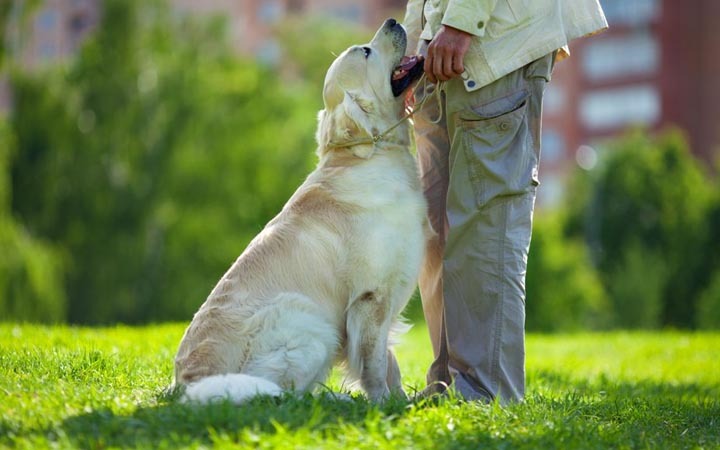 Start to move towards your dog and tell him back up, the moment your dog starts to step back as you move towards him give him the treat and say “good boy”. Try to practice this training more than three times a day to make your pup respond more effectively to the commands. Taking a bow is actually a natural behavior that all dogs perform. The trick involves having your pup put his chest to the floor while maintaining his rear end up in the air. Dogs frequently bow when they play together or want to lure their companion to have some activities or exercise. 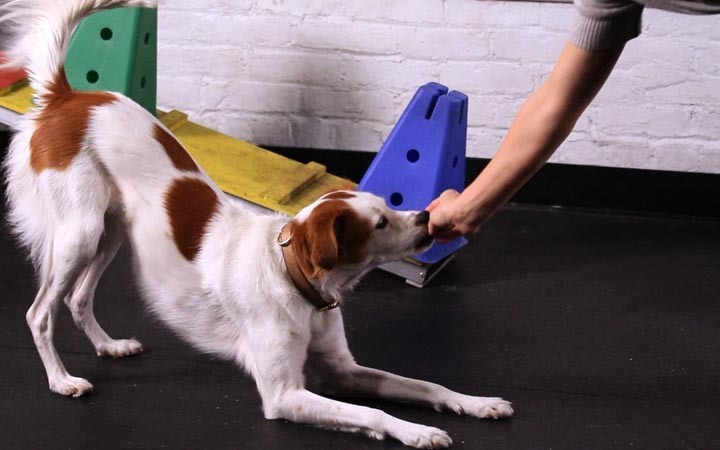 So, you won’t find it difficult to use your pup’s innate playfulness to train him for such a trick, also it is a perfect way to end a presentation of all the great new tricks your dog has acquired. 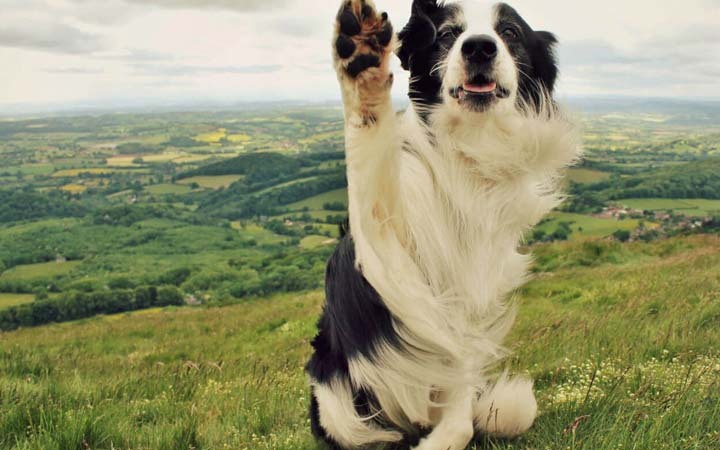 Training your pup to wave hi or bye is an amusing and a simple dog trick. It is a wonderful trick to salute family members and friends that was first deployed in the military service. When your dog learns how to shake paws, you will use the same strategy to train him to lift his paw to wave. You just need to ask your dog to sit, hold the treat in front of him, take a yellow post-it note and make it above your dog’s eye. Whenever your dog raises his paw to remove it, reward him with a treat until he acquires the trick perfectly. When you train your dog to speak, you will solve a typical behavior problem that all puppies make. Dog trainers usually recommend using the quiet and the speak commands to put an end to redundant barking. 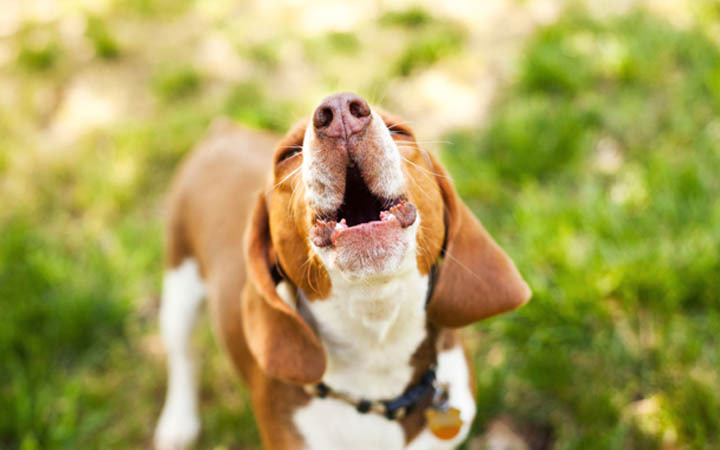 When you train your dog to speak or to stay quiet tricks will make you control his excessive barking in many situations. It is also entertaining to show off your pup’s conversational abilities especially at family and friends gatherings. 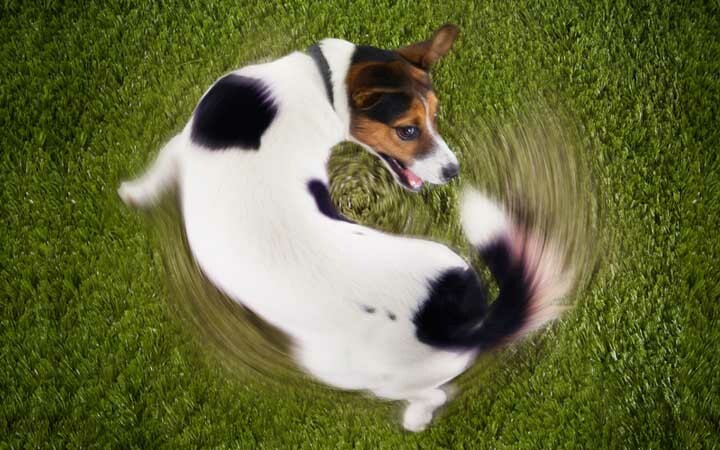 Spinning is an exciting and a funny trick that is quite easy to train your puppy to do. You just need to hold a treat close to your pup’s nose and start to lure him into a spine. You can start for example with one direction; let’s say the right one, and then the opposite direction which is left. It is absolutely amazing to see how your smart puppy can differentiate between right and left. 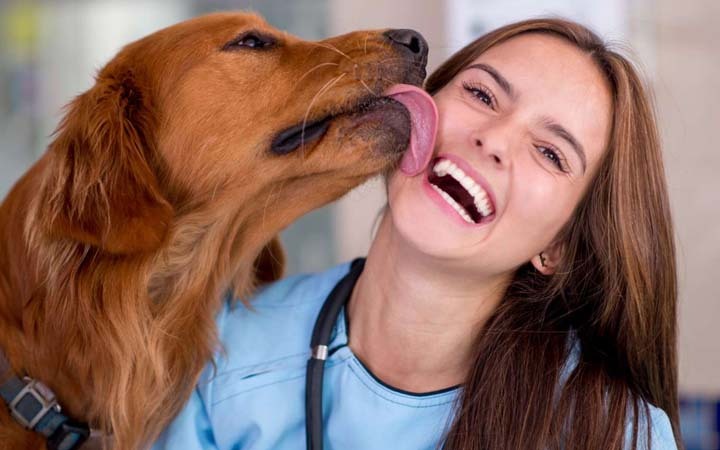 Training your dog to kiss is one of the simplest tricks to teach. Well, not everyone will enjoy his big, wet doggie kiss, but little kids will definitely want it. Yummy treats like cream cheese or peanut butter are all that you need to train your little puppy to give kisses. Put a little treat on your cheek; say your command and you will soon be able to receive all the emotion you want from your passionate puppy. 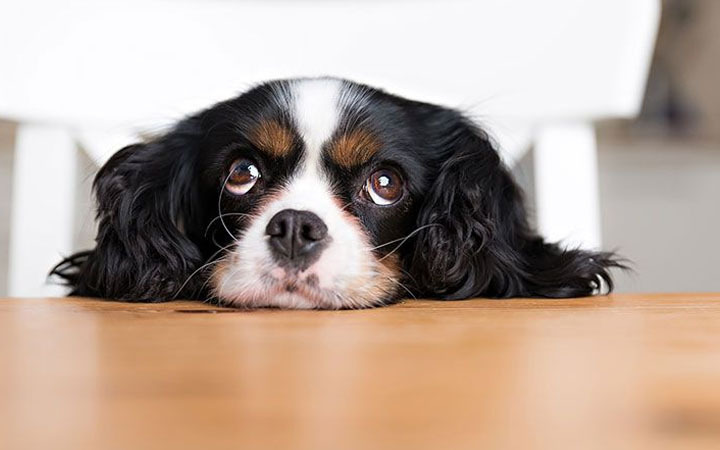 Begging is an adorable dog trick that can be little more difficult than the previous tricks, but with a little patience, you will be able to see your dog bagging at any time. Here is how to do it: first you need to have all of your dog’s favorite treats ready; second, ask your dog to sit and give him the command “beg”; try to make the treat close enough to your puppy’s face so he can be attracted to reach it; as soon as he raises his head try to encourage him by saying motivating words. 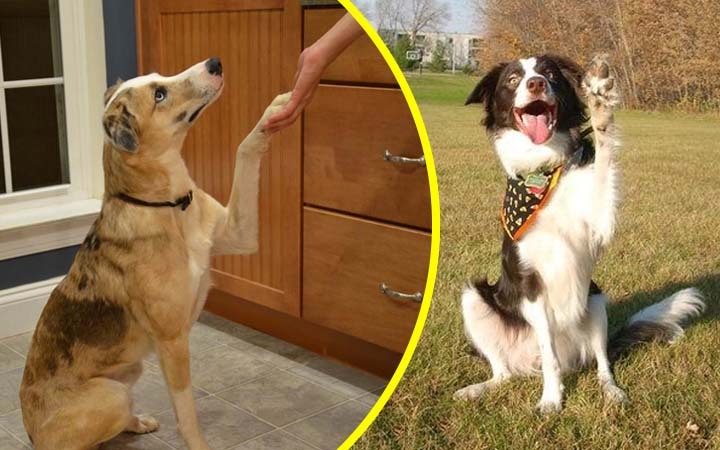 Try to repeat these steps many times so your dog can acquire “begging” effectively. Rollover is another simple and easy trick that the majority of dogs do naturally when they want to allure you to play. 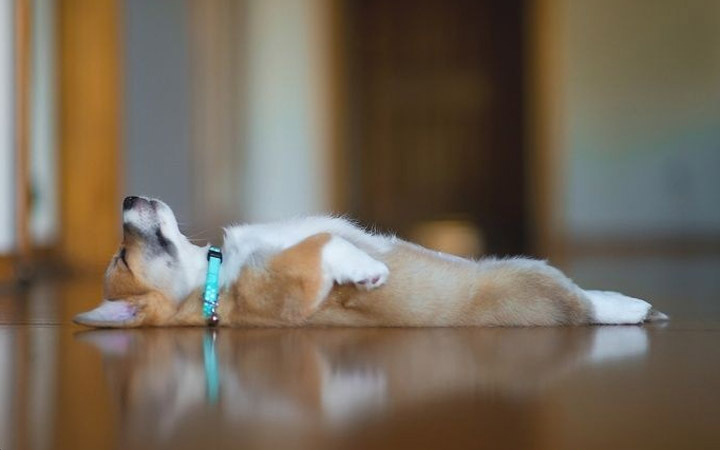 The majority of people train a pup to roll over in different tiny parts and work up to make their dog roll all the way. This trick will need some extra effort, but it is absolutely funny and entertaining, especially when you both go out for a morning exercise, you will absolutely enjoy it. Play dead is an entertaining trick that everyone wants to do. Your kids will be astonished when they see you holding your fingers like a pistol and say boom and your pup will fall to the ground spontaneously to play dead. 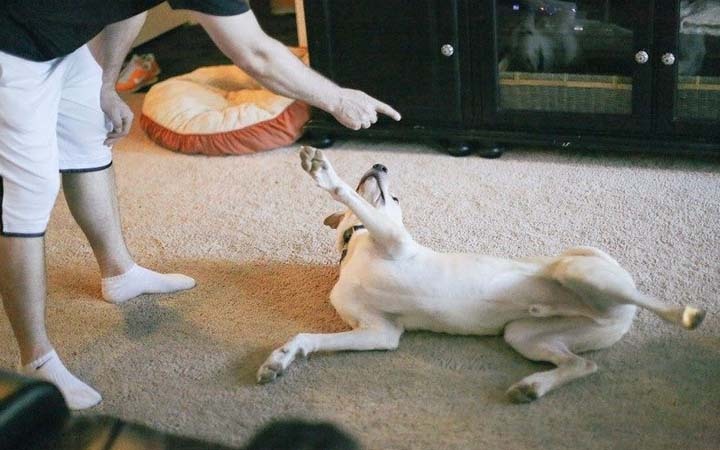 Although it looks awesome, it is not as difficult as you might think to teach your pup to do it, especially if you have already taught him to roll over effectively.